My yellow irises, also called “water flags,” are blooming now. There’s nothing like the dark, sweet smell of an iris, I think. Some of mine are more fragrant than others. I grow some burgundy ones that are the most heavily-fragranced and some blue-violet ones that have a very subtle scent. Did you know that irises are a magical plant? They’re ruled by the element of water, and great to use in all kinds of water magic involving emotions. I tend to plant mine in the corresponding west area of the garden, though I have some yellow ones coming up in the south. Before I plant flowers, trees, and herbs, I try to figure out what area of the garden corresponds with them magically, and to put them there when I can. Sometimes, conditions don’t always cooperate. But I can usually put them in another direction based on color. Our backyard garden is something of a large (and ever-growing) circle, and I like to think of it as my outdoor, permanent magic circle. The directions are marked out, and I’ve kept areas clear for entrance points at the cross-quarter points. Back to the iris! Irises are sacred to the goddesses Hera and Juno, especially in their blue or purple forms. They’re also associated with Iris, the goddess of the rainbow, and Isis. I tend to like the blue irises as offerings for Isis. Yellow irises make fine offerings to her son, Horus. 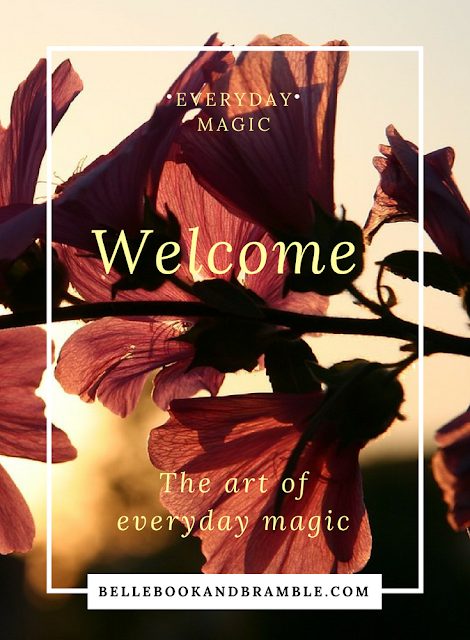 In magical workings, irises of all shades are wonderful for workings involving love, luck, inspiration, and creativity. When I put a vase of irises on my desk, I swear that I’m more productive with creative work. They’re also associated with mental focus, clarity, and willpower (especially the yellow ones). If you’re facing a project deadline, it doesn’t hurt to put a few in your work area, especially on the west side of your desk. Blue irises are associated with wealth, and this year I’m going to try to press one of the flowers and tuck it in my wallet. 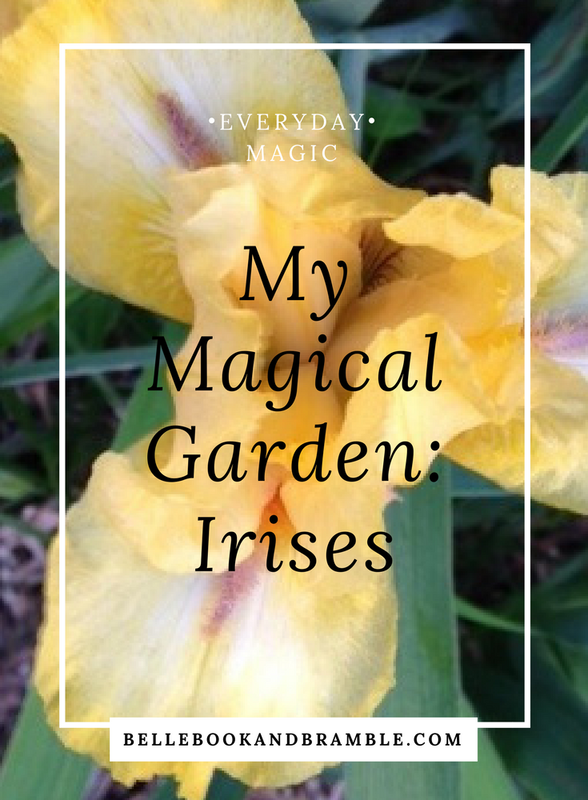 Do you grow irises? Where do they grow in your garden? I inherited my mother's Iris crop and there are the traditional purples, but she also got one that is so dark purple, it's almost black. Now that I'm getting a little land scape reclaiming done, the poor things won't have to fight the weeds as much to be seen! What a great article! I never knew about their associations. You learn something everyday.